Inspired by the Iraqi journalist who launched his shoes at president George W. Bush, it seems now anyone can take a virtual swipe at the man himself – thanks to the appearance of two new games on the internet. 'Sock and Awe' sees the player trying to knock Bush out by flinging their footwear at the US leader. The site hosted an impressive 1.4million players before folding under the pressure earlier this week. Briton Alex Tew created the game, which is craftily named after the US campaign that initiated the Iraq invasion. Another Norwegian site has reportedly recorded over 2.69million hits. 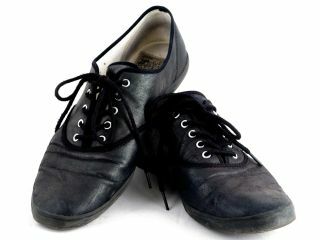 Should you tire of following in the footsteps of Durgham Zaidi, there's also an online campaign urging people to send their old shoes to Bush. In other strange news from the last seven days, a Japanese foot massager has gone on a killing spree, leaving three people dead in the process. So far details have only emerged about one of the fatalities, where a woman was allegedly strangled after she removed the Shape-up Roller 2's protective cloth cover and used it on her neck. If this sounds like a good way to go, you're in luck – the manufacturer, Matoba Electric, has not yet recalled the machine. It has, however, issued a warning against removing the cover or using it other than as instructed. The cute little Toasting Charger seems an altogether safer device (if only because it's a concept), should it ever arrive on the market. A press-and-pop breakfast-style recharger for your lithium-ion batteries, it's designed to resemble a toaster right down to the little LED on the front that keeps you up to speed with its progress. While the notion of toasting your batteries might initially appear a tad strange, just take a look at the little fella – you know it makes sense. Here's one for under the tree: Sang-Kyun Park's LightDrops umbrella. Suitable for both the stylish and the energy-conscious, the creation transforms the potential energy of falling rain into electricity using a PVDF (polyvinylidene fluoride) conductive membrane. The electricity generated then powers an assortment of LEDs, lighting up the umbrella. The harder it rains, the more it glows. Brilliant. No comment as to whether LightDrops are afflicted by inside-out syndrome. An American man is to appear in court after he took his couch out for a spin. Several police officers cheerfully waved as he drove past on his motorised sofa, on the way to an American football game back in November. Sadly for Mike Meredith, one objected to the sight of the 'Go-Kouch' – which is in fact a converted riding mower – on the streets, and slapped him with a charge for driving an unregistered vehicle and having expired number plates. Meredith is to argue his case in court on Tuesday. Check out the Go-Kouch in action here. Now read "Google Earth bordering on time travel and teleportation"